Learn more about LiveChat software with customer reviews, ratings, pricing information and frequently asked questions. 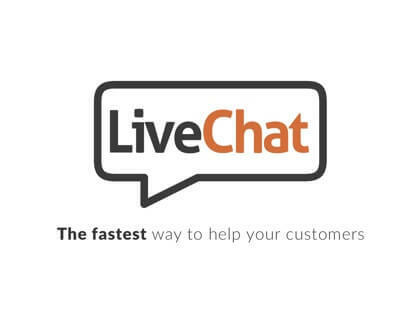 LiveChat is a live chat communications platform for businesses. Your customer support team can use LiveChat to communicate with customers through chat windows that can be accessed on your company website. LiveChat is available in desktop and mobile applications for quick access. What is the price range for LiveChat subscriptions? LiveChat's monthly plans range in price from $16.00 to $149.00 per seat per month. Is there a LiveChat free version for small businesses? LiveChat's monthly plans are only available in paid options. However, you can sign up for a free 30-day trial to test out the software. Can I integrate my LiveChat software with MailChimp? If you already have a MailChimp account, you can download the MailChimp LiveChat integration. With this integration, customers can subscribe to your email list through the chat window on your website. How do I access my LiveChat login in my website browser? To access your LiveChat administrator account from your web browser, go to my.livechatinc.com and enter your sign-in information. LiveChat is a reliable platform that makes it easy to manage conversations and respond from any device. Our team loves LiveChat! It has definitely been a worthwhile investment. The best part is that it works across multiple devices and operating systems. With LiveChat, we are able to answer peoples' questions right away and quickly convert them to customers! Once we started using LiveChat, we had more interaction with our customers and saw more leads turn into sales. The interface is simple and the software is very affordable for a startup like ours. The built-in metrics help us to measure the performance of our customer care team. This is one of the most intuitive interfaces that I have ever used! My customers are impressed, and so am I.
I like LiveChat because it allows us to close more sales and the email notifications ensure that someone always replies to our customers when they send a message. LiveChat has unlimited customization options! Not only that, but the analytics tools are as powerful as they are useful. Overall, this software is fast and functional. The ticketing system could use some updates because the appearance is not very modern. The chat windows give lots of information about the customer on the other end, which can be helpful when you are trying to lead them towards a sale.